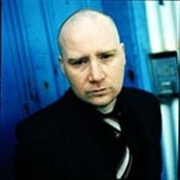 By combining minimalism, ambient and symphonic music Jóhann Jóhannsson realizes compelling works. 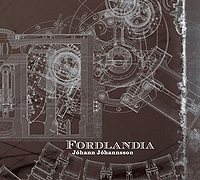 On the CD Fordlandia (67'09"), compositions gently rise out of silence to endearing sonic heights. Akin to the Adagio section of a symphony, Jóhannsson's work achieves its forlorn beauty by lingering on the notes around a chord's fundamental - a unique decoartive style in which the piece seems to be asking to resolve. Along with the warm string section, some compositions also feature pipe organ, children's choir, woodwinds, piano and other unidentifiable drones and atmospherics. Unfolding in time, the music plays heights off of depths and lament against affirmation - all blending into one moment. There is no way to escape the power and desperate beauty of this music. With the harmonic motion of Angelo Badalamenti, the celestial reach of Joep Franssens and the pathos of Arvo Pärt, Fordlandia is always on the verge of breaking into poetry.